Not Sponsored: Hey Guys! 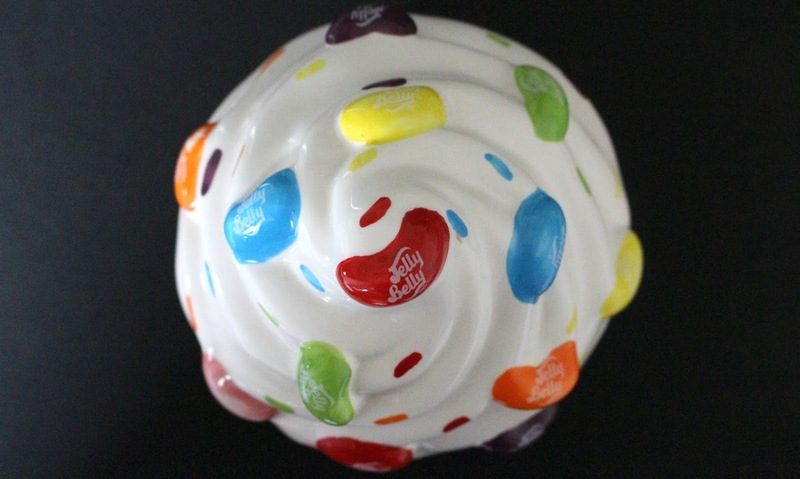 I want to give you an update on my previous Sally Hansen x Jelly Belly post. Nearly all of the shades were SOLD OUT at the time. Well I have great news! Target has all of the shades available (except for Tutti Frutti). All shades are available at ULTA. 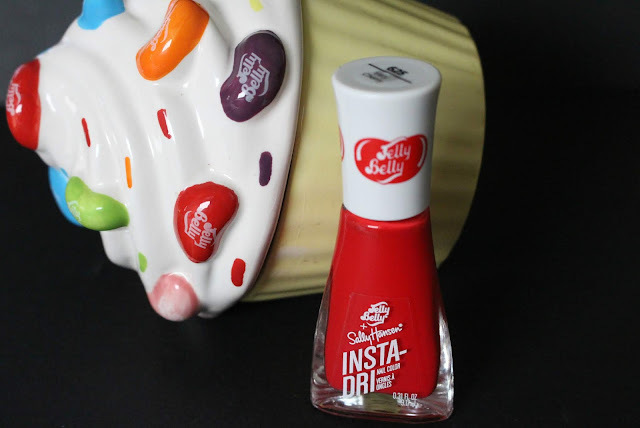 For a few dollars more ULTA also has Sally Hansen Insta Dri x Jelly Belly Nail Color DUO PACKS (yes 2 nail polishes in a pack). Target has the Duo Packs as well. Of course, this only works for you if its two colors you want. Because these were nearly sold out when I first discovered them, I resulted to eBay. Yes, I payed $9.99 for ONE (Very Cherry). Somebody slap me! But I didn't know if they would be gone forever! I really wanted this for my collection. Let me share my thoughts! It's been a LONG TIME since I've tried Sally Hansen nail polish. Let me tell you the good! 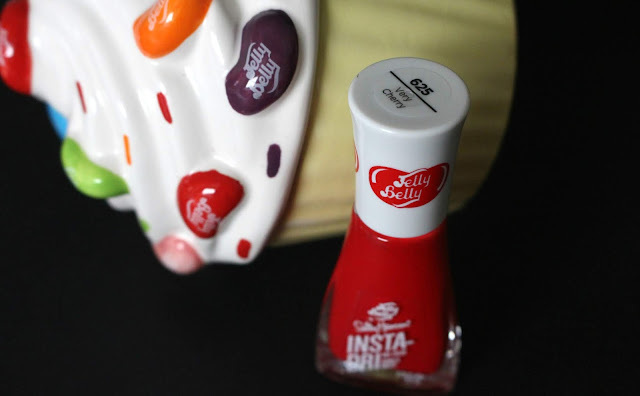 The nail polish is highly pigmented! Gorgeous, rich color! It's long lasting...5 days! Now let me tell you the quirks! The brush is rectangular in shape and flat! It's kinda long. That means it holds a lot of product. 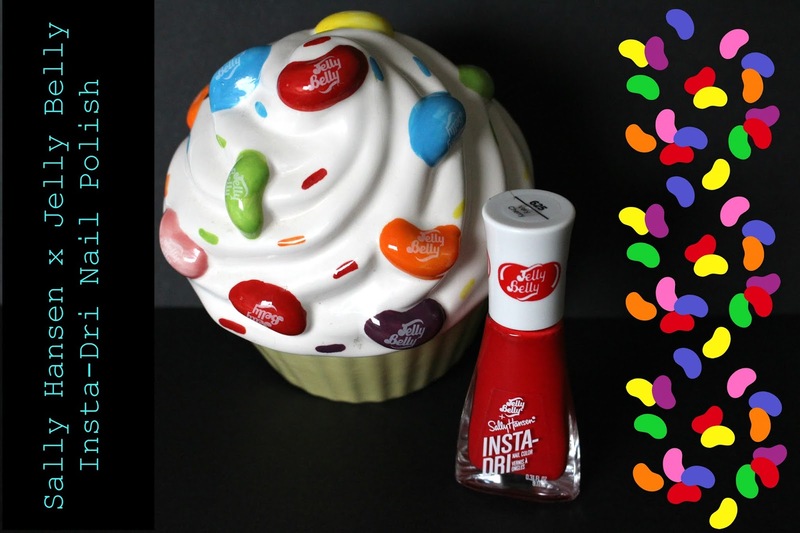 Lift the brush out the bottle and it will drip 4 times! Let it drip. Get the excess off the brush. 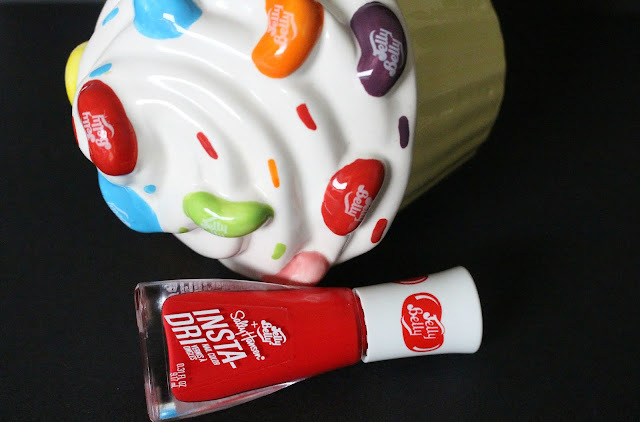 Even then, you probably can do 2-3 nails with one dip of nail polish! Since the brush is big, be careful with application. 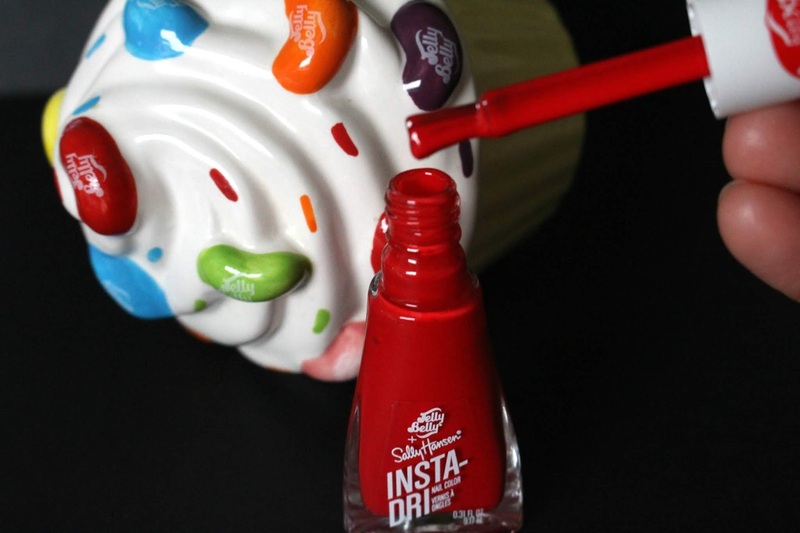 It's easy to get nail polish on the sides and atop your finger. Yes, you can clean up afterwards but I thought you might want to know. I have a pretty large nail bed, so I can only imagine anyone with smaller ones. Drying time? I used 2 coats and it took about 22 minutes for it to COMPLETELY DRY (where I felt it wouldn't nick or smudge). So that whole Insta-Dri? Nah. It takes awhile to air dry. I loved the color! When I cleaned it up, it looked beautiful (pictures below are before clean up). Finally, use a base or undercoat. If you don't use one, expect your nails to be a pinkish red when you remove the color. So those are my thoughts! Because the end result was beautiful and long lasting, I couldn't give it a bittersweet rating because of those quirks. These come in a beautiful assortment of colors for Spring. I love the packaging!